Welcome to Week 2 of my Stitch Pattern Saturday.. I have several stitch pattern books and this week I tried the Diamond and Garter Stitch Rib pattern in the 400 knitting stitches book by Potter Craft. It measures approximately 10 1/2 inches wide. I repeated the 8 row stitch pattern 2 times. It measures 3 inches long. 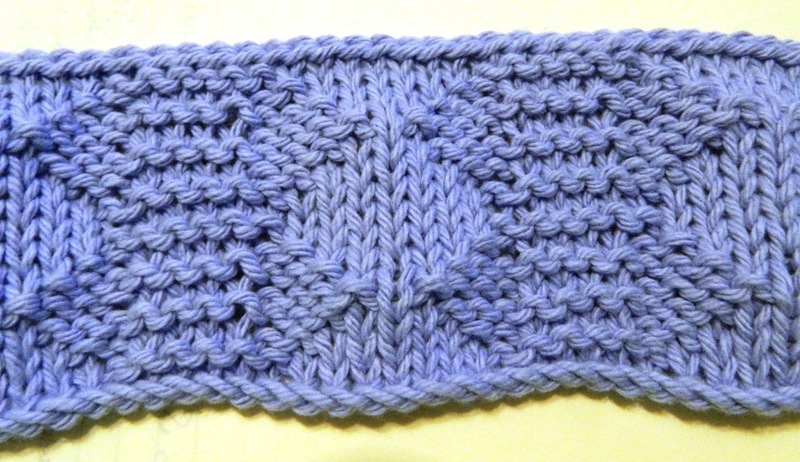 I’m adding this swatch to my stitch pattern notebook although I admit that I’m not thrilled with this pattern. But it might be just what I’m looking for one day. Deb, I like the pattern but I can see how you might not like it. I'm not sure if I should be looking at the raised part of the pattern or the flat part of the pattern. I'm sure it will grow on you.